Unzip it to a directory. Update the “tls-toolkit.sh” file and add the current version of JAVA_HOME. 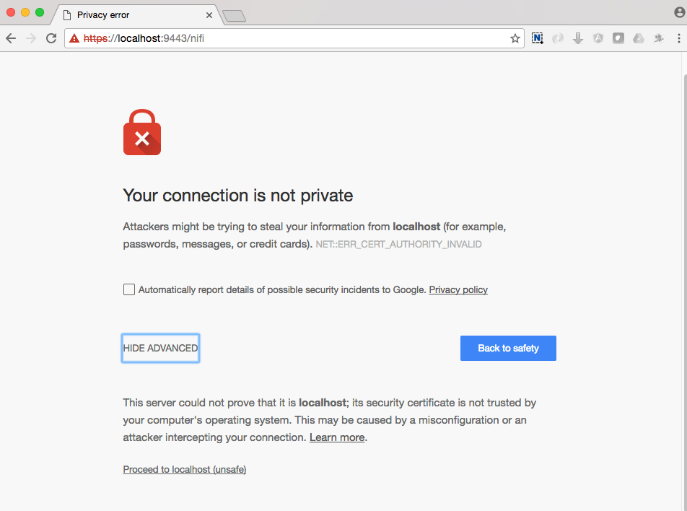 Change to that directory and generate certs using the tls-toolkit. /opt/nifi/nifi-toolkit-1.0.0/bin/tls-toolkit.sh standalone -n 'localhost' -C 'CN=kylo, OU=NIFI' -o . 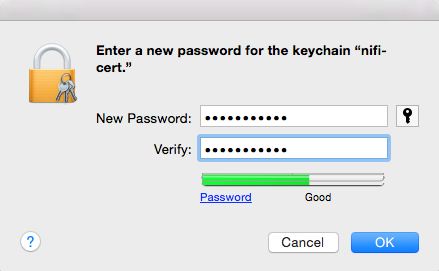 The client cert is the p.12 (PKCS12) file along with its respective password. This will be needed later when you add the client cert to the browser/computer. The directory ‘localhost’ is for the server side keystore and truststore .jks files. 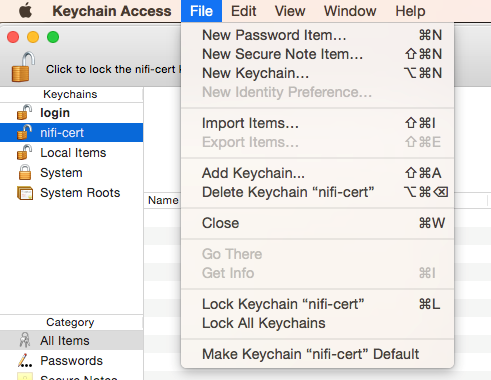 Merge the generated properties (/opt/nifi/data/ssl/localhost) with the the NiFi configuration properties (/opt/nifi/current/conf/nifi.properties). Below is an example. 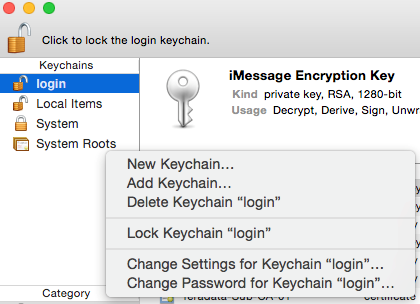 Do not copy this text directly, as your keystore/truststore passwords will be different! Edit the /opt/nifi/data/conf/authorizers.xml file to add the initial admin identity. 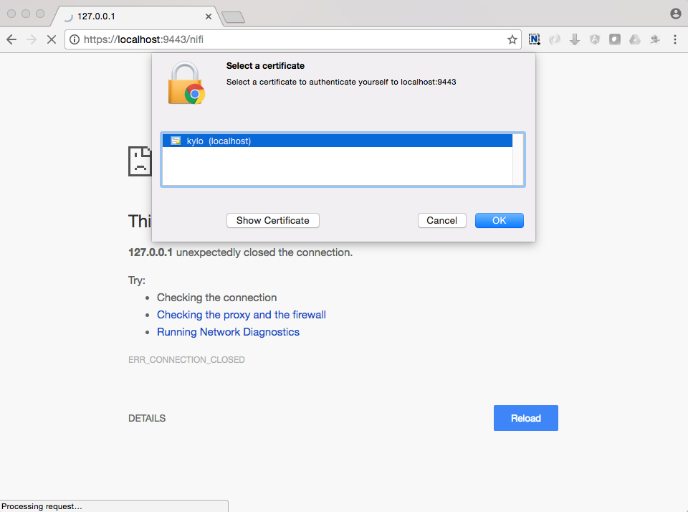 This entry needs to match the phrase you used to generate the certificates in step 6. For reference: This will create a record in the /opt/nifi/current/conf/users.xml. Should you need to regenerate your SSL file with a different CN, you will need to modify the users.xml file for that entry. 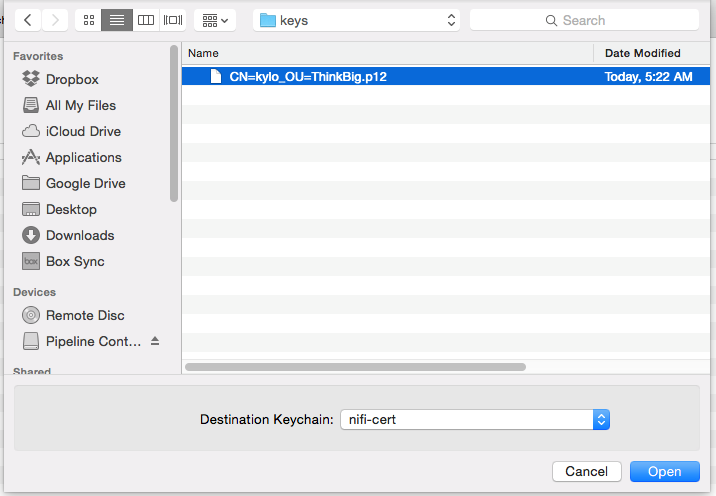 Set the following parameters in the kylo-services “application.properties” file for the NiFi connection. 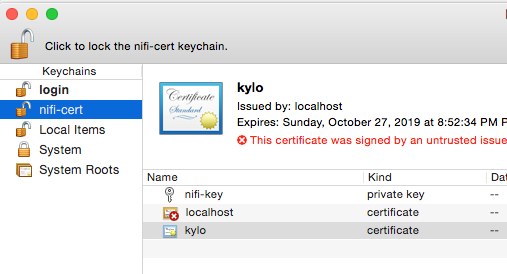 Copy the .p12 file that you created above (/opt/nifi/data/ssl/CN=kylo_OU=NIFI.p12) in step 6 to your Mac.